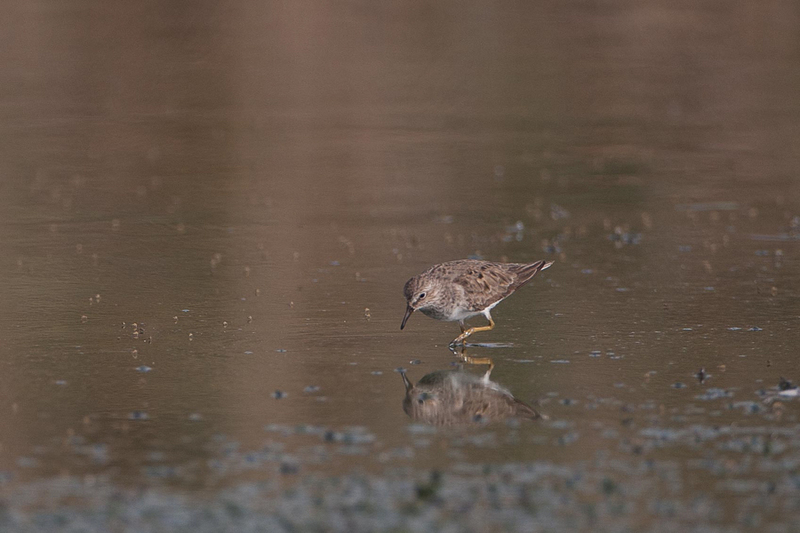 Phil Roberts found a Temminck’s Stint in Jubail recently. The species is an uncommon passage migrant and winter visitor see in small numbers almost always away from the coast. It occurs in April and May and again from September to November although some birds do winter in very small numbers at some suitable inland sites such as Sabkhat Al Fasl near Jubail. The species is regularly seen with the much commoner Little Stint. I thank Phil for allowing me to use his photo on my website which is reproduced below.